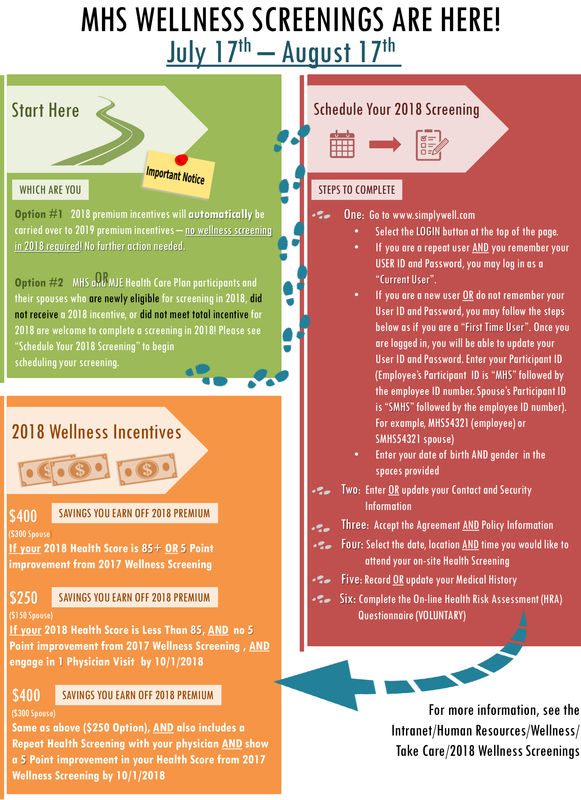 Attention, MHS & MJE Health Care Plan Participants: Due to a change in vendors, a modified process will be used during 2018 wellness screenings. Important Note: In the spirit of cost savings, all future communication will be via e-mail or Employee Connections. Please remember to check your work e-mails. If you do not have e-mail set up, contact your supervisor for arrangements. If you have questions, please call Human Resources at 402-354-2200.